Please note: there are several designs available in this range. Unfortunately it's not possible to request a specific one, so please let us choose one on your behalf. 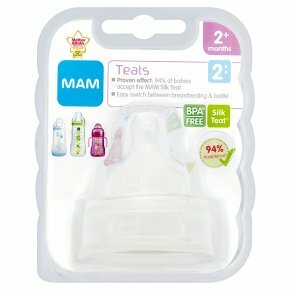 Pack of 2, medium flow teats which are designed for hungrier babies who want a faster flow. The orthodontic shape is ideal for easy switching between Mum and Mam, making combination feeding simple.